In order to meet demand, the trucking industry is eagerly pursuing younger and more diverse employees. While the demographics of those in the trucking industry may be traditionally seen as skewing older and male, that’s not entirely true. This stereotype has a basis in reality, of course, but it’s far from the whole picture. Women have long been a vital part of the trucking industry, and their contributions go back to its inception. 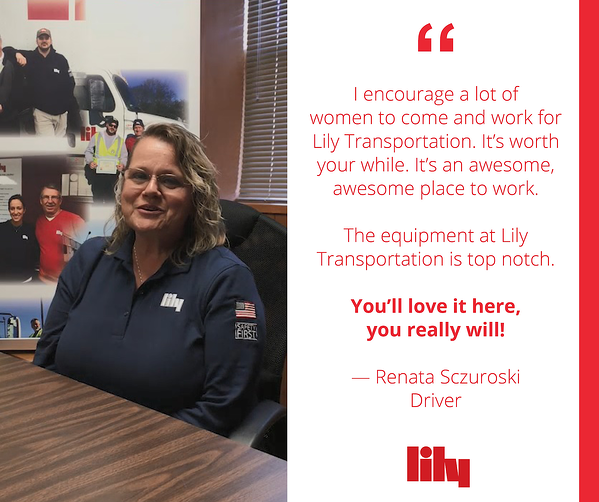 Here at Lily Transportation, we’re committed to providing competitive pay, health benefits, paid holiday and vacation time, and other great benefits for each and every one of our drivers. If you’re a woman interested in finding a new and exciting career in the trucking industry, then take a look at the guide below, which will help illustrate why now is a great time for you to enter the trucking industry! Despite the male-heavy stereotype, there are a fair number of women already involved and active in the trucking industry. According to data collected in late 2017, “women comprise between 4.1% and 6% of the overall truck driver population.” However, when you take into account that the industry employs almost four-million drivers, you can see why the discrepancy has led to the male-focused stereotypes. In the next several sections, we’re going to take a look at the historical precedent for women in the transportation and logistics industry and the benefits they can find in a truck driving career. However, that doesn’t mean women haven’t always been a part of the transportation industry, because they most certainly have. In the next several sections, we’re going to take a look at the historical precedent for women in the transportation and logistics industry and the benefits they can find in a truck driving career. This shouldn’t be too surprising though, considering women make up half the population and over 50% of the labor force. And yet, it still stands that only 1-in-20 professional drivers on the road tend to be women. This is something that the USDOT Women & Girls In Transportation Initiative (WITI) hopes to rectify by offering internship programs through the department’s Small Business Transportation Resource Centers (SBTRC), which has locations across all 50 states and U.S. territories. The job of each SBTRC is to identify and pursue qualified female college students and provide them with valuable transportation-related internships. Identify the challenges women face in the transportation industry. 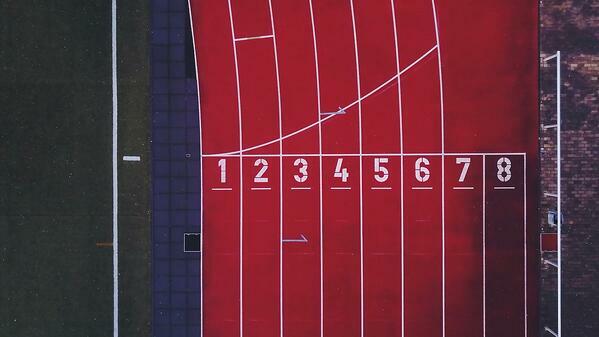 Address those challenges in order to improve the status quo. Educate participants on the wealth of opportunities available to women in the transportation industry. Attract participants to the many transportation-related fields available as part of the WITI program and the organizations it partners with. Retain WITI participants in the transportation industry. Serve as a resource to all of the WITI participants who are looking for more information about the transportation industry. This is just one example of the number of programs available to women seeking a career in the trucking and transportation industries. Another prominent example comes from the non-profit organization Women in Trucking (WIT), which was founded in late 2007 and strives to promote career opportunities, improve working conditions, and serve as a resource for women in the truck driving lifestyle. As seen on their website, WIT’s mission is “To encourage the employment of women in the trucking industry, promote their accomplishments and minimize obstacles faced by women working in the trucking industry.” They have been active in the industry for over a decade, and Lily Transportation is proud to stand in support of WIT. It’s no secret the trucking industry is in need of drivers, and lots of them. 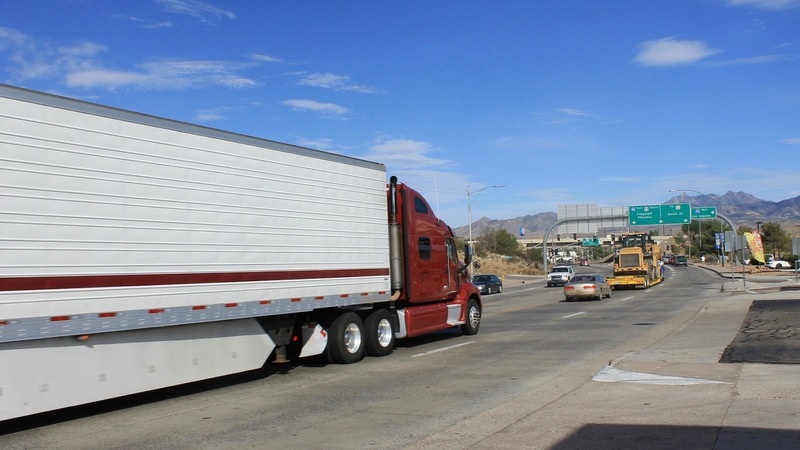 In a 2017 report, the American Trucking Association (ATA) outlined how the trucking industry needs to hire approximately 900,000 new drivers in the next decade in order to keep up with demand and continue operating at peak efficiency. That’s no small number, and as a result, trucking companies are eager and willing to work with you. For women looking for a new career, this is good news. As more and more veterans of the trucking industry enter into retirement, trucking companies have begun actively pursuing and recruiting younger and more diverse drivers, and women play an important role in that movement. For example, in January 2017, Women in Trucking reported “that women comprise over seven percent of female over-the-road drivers and 23 percent of management.” By the end of 2017, however, that percentage increased to 7.89, and the number of women in management positions within the trucking industry also showed a similar increase. In a Stay Metrics annual driver satisfaction report, Ellen Voie—President and CEO of the Women in Trucking Association—said “we’re learning more about why we should focus on bringing more women into the industry, not just to fill seats, but to fill them with capable and well-trained drivers.” While trucking companies have always been open to hiring and embracing women drivers, recent research such as this suggests that companies may be able to improve their business if they actively pursue female drivers. This gradual, steady progress is great news for drivers and companies alike. Not only do the companies benefit from having more drivers, but the drivers will also benefit from having a shared distribution of workload. Women are drawn to the trucking industry for the same reasons men are: consistent pay, flexible hours, and a wealth of opportunities. Ellen Voie is quoted again, in an article from CNBC saying "A carrier sets the pay based on mileage, hours or percentage of the load. It is not related to age, ethnicity or gender." In addition, since the industry needs drivers, competitive pay has also become more common than ever. 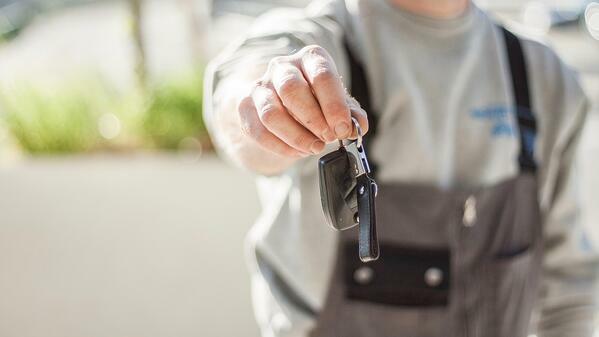 Most companies offer additional income incentives through safety and loyalty programs, so the safer you are as a driver, and the longer you stick with a company, the more income opportunity you have. There is a place for you behind the wheel. There is also no shortage of work as the continued rise and popularity of the e-commerce industry ensures there will always be something for truckers to transport. According to an April 2017 Statistia study, 40% of all American internet users purchase items online more than once a month, with 20% of them buying items or services on a weekly basis. In addition, analysts expect those percentages to double by 2021, so it’s clear that online retailers—and the products they need to have shipped—aren’t going to be going anywhere anytime soon. With this in mind, let’s look at how this affects female truck drivers and the companies looking to hire them. Even though female truck drivers are still a minority, the American Trucking Association states “that more than 28,000 women have joined the trucking industry since 2014.” The trucking industry is changing, and with that change comes a newfound—and overdue—emphasis on the value female drivers can bring to the trucking industry. If you’re interested in exploring a career in the trucking industry Lily Transportation is here to help! We’re always searching for female truck drivers to join our family and are proud to offer all of our employees' competitive pay, benefits, paid holiday and vacation, custom clothing, and so much more! For more information please call to speak with a recruiter 800-248-5459, or visit the Careers Page on our website! We can’t wait to talk to you!